I do not like - the nose is too common for my age and the price range - with patience you will find a few nice flavors here, but on the palate and finish it falls even further. I am glad that I do not have 10cl or even a bottle of it. Really very intense he is for his alcohol content - who the style is - because the price may go ok - not for my taste. fresh - mint, pepper and citrus oil bring pleasant freshness, walnut shells, Grapefriutschale, equally noticeable bitterness on the palate - I do not feel it is too bitter - but especially delicious just not, beautiful creamy oak, sweet sour basic note with a light ZItronenaroma - The association probably comes from the mint oil, to light sherry notes - but these flash only briefly, then drown in citrus and bitter grapefruit peel. [September, 2018] Somehow I am sceptical if a purely blend-oriented distillery offers a single malt core range from one day to another - just because the owner changed. 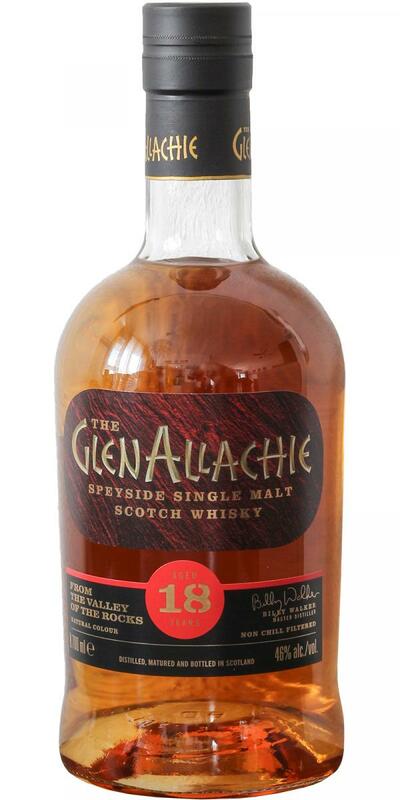 This whisky was produced 18 years ago when nobody ever thought of a Glenallachie single malt bottling. So can this be really good? The palate is rather two-dimensional on sugary sweet and bitter herbal (tannins from the wood) flavours. If you chew it for a while the roasted coffee beans flavour pops up again which is quite nice. Water turns the dram smoother and releases some additional milk chocolate and less bitter flavours. I like it best somewhat reduced. The dram arrives warming and coating on the palate with a slightly bitter-astringent feeling from heavy tannins. The finish is of medium length with more shy milk chocolatey flavours and a slightly astringent end (tannins again). The smell is very pleasant with little surprises and depth, but stimulating and delicious. In the mouth is a little less pleasing, the sulfur is a slight false note for me. The departure is a bit inconsequential. Whisky does not hurt anyone, but it does not inspire anyone. To drink it casually, he is quite nice, but for the enjoyment something is missing. Herb and bitter the first sip flows over the tongue, I fold my nose and make my face like if I would bite into the shell of a grapefruit ... What's that? Suddenly spicy mountain cheese stings through the bitter citrus aromas, tart wood tones stick to the palate, a touch of white pepper runs through the throat and lays sharp over the tongue. 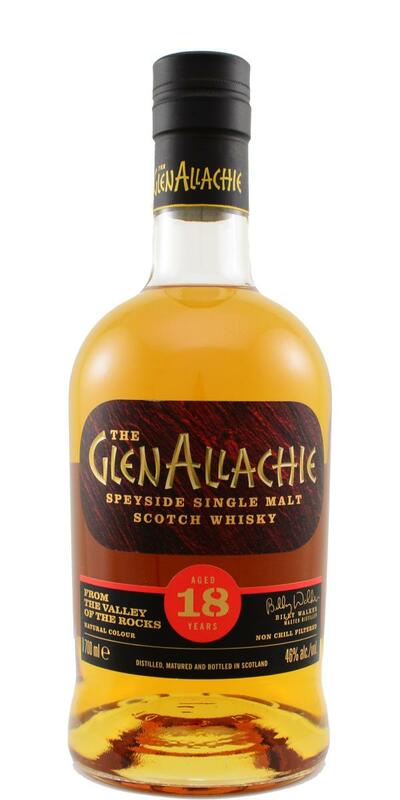 Rancid and bitter walnut flavors appear, the flavor of this Glenallachie is far too bitter and bitter.